I always try to make different salad dressings at home. I am definitely trying this one. Hope it is not too hard to find the oil. Looks refreshing with the poppy seeds! One of my favourite salad dressings! I've been a big poppy seed dressing fan for a while also but never thought to make it myself! DOH! Looks so tasty! This looks fantastic. I am totally trying this over the weekend! We love poppy seed dressing but never thought in making my own...looks delicious and so refreshing. This is stunning Lisa. I love good salad dressings. They can either make or break a salad. Such a nice light dressing too! Found your blog from this flaunt website thing. pretty cool. my friend told me to go there and i'm glad i did, cuz i found you! I love the salad dressing in the pic! So tasty. I rarely make my own salad dressing but am always so happy when I do. This recipe is great. I'd forgotten all about poppyseed dressing and how much I liked it. I would never have thought to make it myself, but why not? As you say, I make other salad dressings. Yummy looking salad! 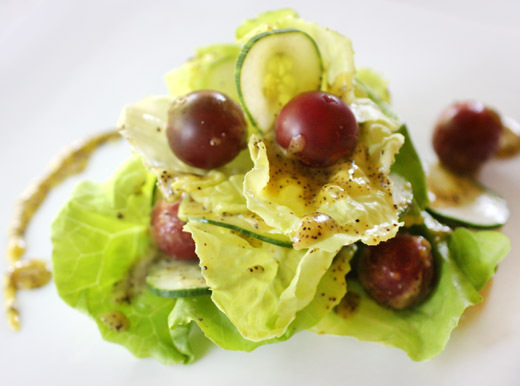 i pretty much hate every dressing ever created, but for some reason, i love a poppy seed vinaigrette! that said, i've never made a poppy seed dressing myself, what a surprise to learn that you toast the little seeds! That looks great. I love a good poppy dressing, although I've never made my own. Thanks! 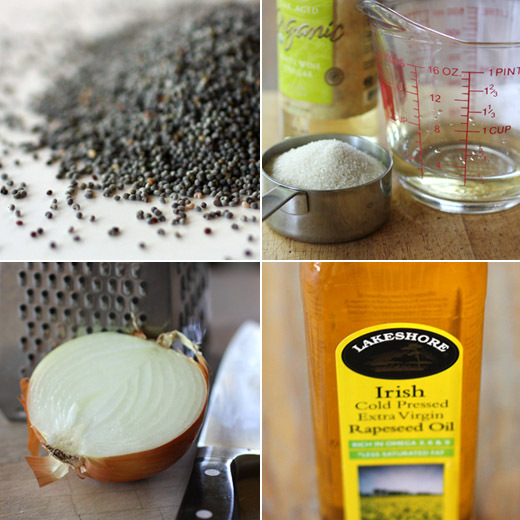 I really like poppy seeds, but have never made a poppy seed dressing. Something I should try for sure! Really good stuff - thanks. It's funny - with all the cooking I do, I rarely make homemade dressing. I don't know why, because it tastes so wonderful and is usually pretty easy. Thanks for the great idea starter! 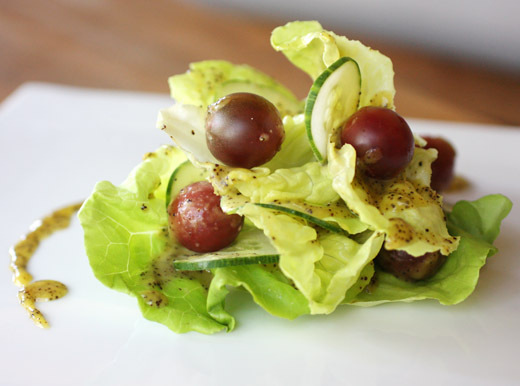 homemade poppy seed dressing sounds wonderful! The recipe for the poppy seed dressing sounds good. Nice photo of it dressing your salad. Beautiful shot of the salad! You're getting to be a pro at styling plates. I also love a good poppy seed dressing and make my own as well but I keep it refrigerated for far more than 5 days. Any reason why this particular recipe only keeps for such a short time? Shelley: When a dressing has a fresh vegetable, onion in this case, I tend to only keep it for five days. With the vinegar involved, it would probably keep longer, but I'm not sure how long.